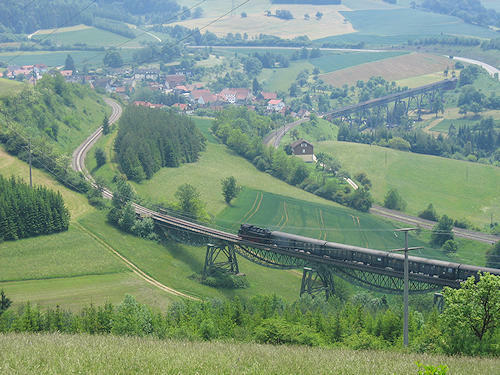 The Wutach Valley Railway is popularly known as the Sauschwänzlebahn, literally the Pigtail Line, because of the wide-ranging convoluted route. This was necessary to keep the gradient below 1%. The distance of 9.6 km as the crow flies was extended to a track length of more than 25 km by means of curved sections, terminal loops and a loop tunnel. 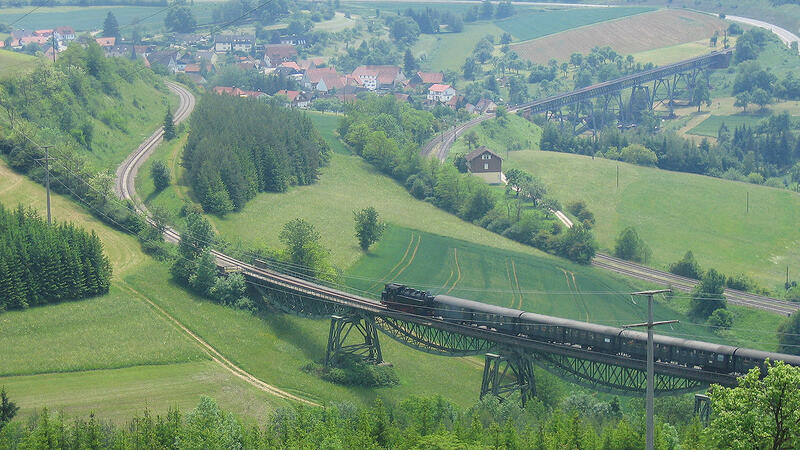 The line was built between 1887 and 1890 and was in official service until 1976. 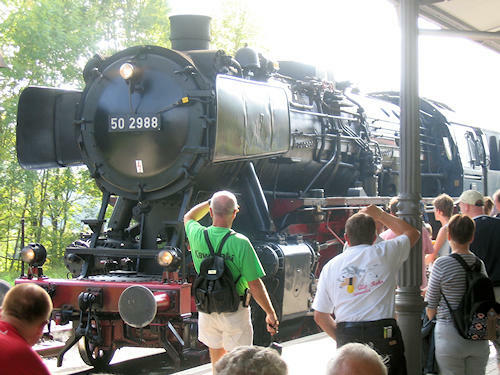 The section from Blumberg-Zollhaus to Weizen has been a museum railway since 1977 and is a popular place for excursions. 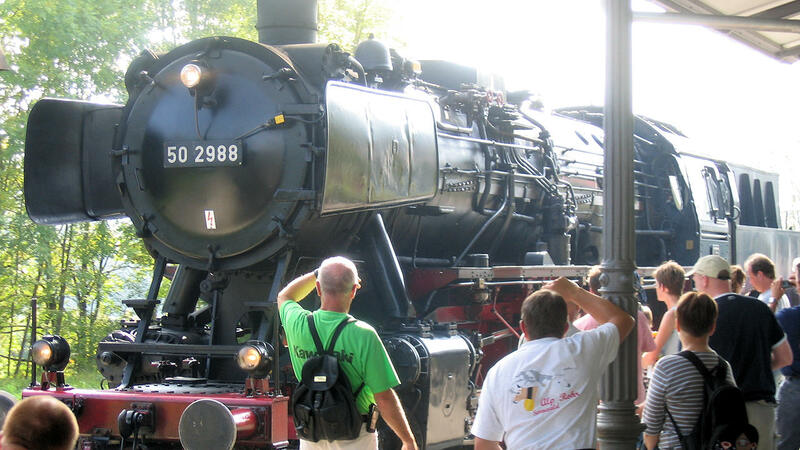 The railway museum and the historical gantry-style signal tower at Blumberg-Zollhaus station are well worth seeing.